What stuntmen and women need is maths! Maths is essential to the process, from calculating speeds and braking distances to looking at the ratio of the amount of film shot to the length of time of the end sequence. The stunt and crash is outlined, and the co-ordinator explains how he must calculate speeds and stopping distances carefully. So you want to be a stuntman? First think of the pain. 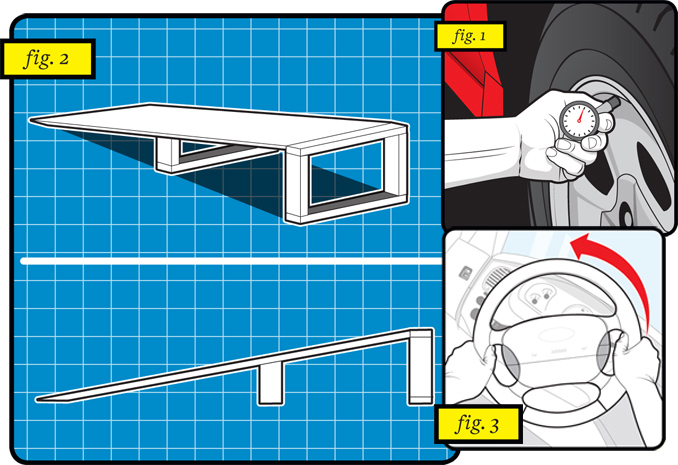 You can use quick handbrake turn, speed around a corner, fishtail into the curb or some other lunatic thing. The most controlled way to roll a car is to use a ramp. These ramps often have a kicker at the end to add extra lift. Ramp calculations can be complicated, but the simplest way to look at the maths is to determine the angle a car will roll ie. 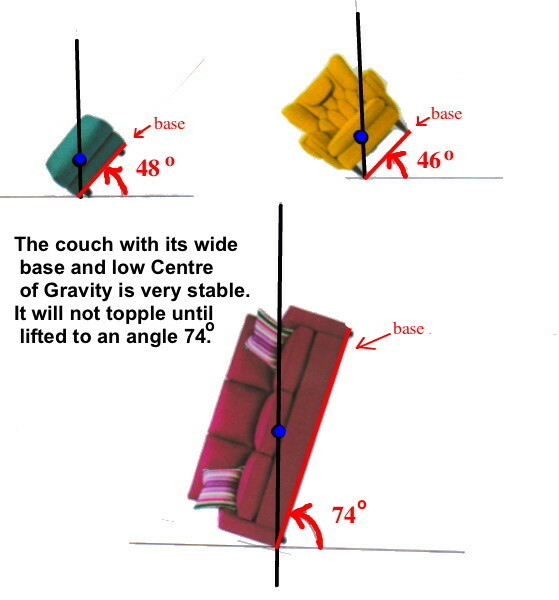 When the Centre of Gravity moves over the base. The distance between the front wheels in cars is often called the track width. 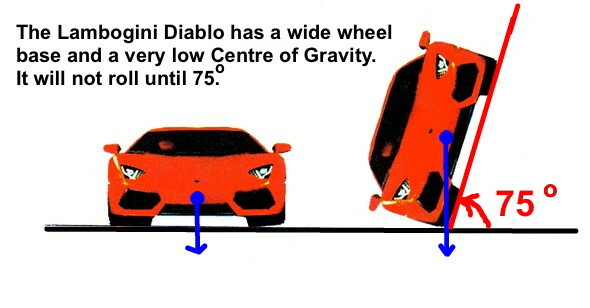 So the Lamobgini Diablo is very hard to roll (build a higher ramp) and it therefore beats the SUV for stability every time. A more skilled stunt involves driving a car on two wheels. A very skilled stunt driver can lift the car onto wheels by snaking the car back and forth across the road until it balances on 2 wheels. 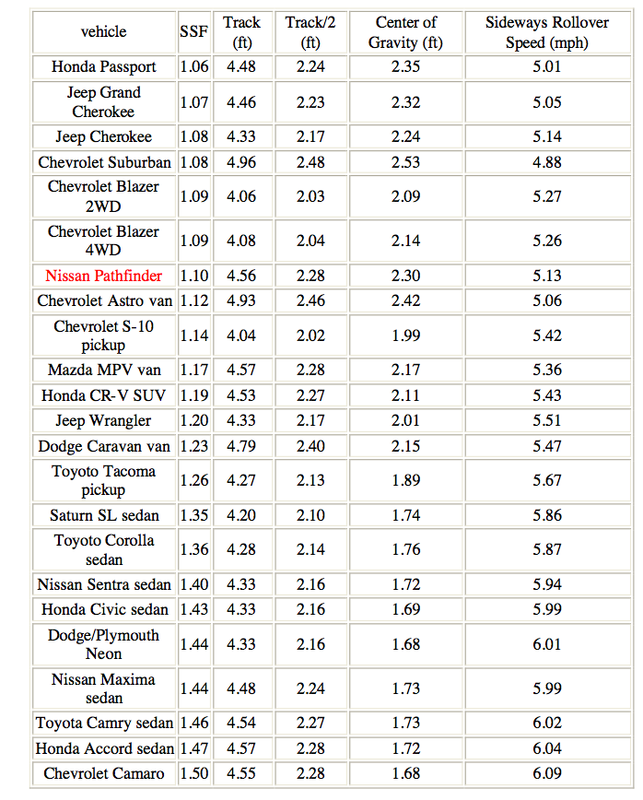 From the Centre of Gravity vs Base angles above you can see that the SUV is the easiest car to balance of 2 wheels. Saudis changing car tyres, just insane.